The Yard Boarding Hotel offers people who are away on business for longer periods an alternative to living out of a suitcase in a classic hotel. 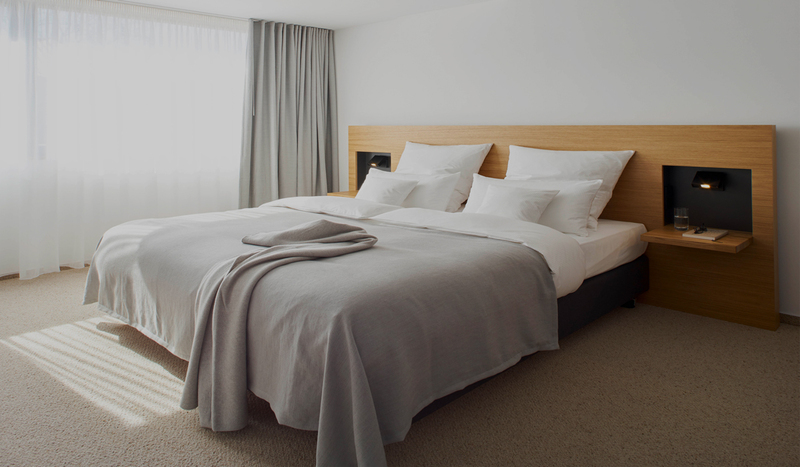 Long-term guests, project staff or freelancers will find modern living comfort in stylishly furnished apartments and suites on the premises and within the walls of the more than 700 years old Nordsteimke manor Estate without having to miss out on the advantages of classic hotel services. Whether you are looking for short or long stay – we cordially invite you to living in a “home away from home”. The Yard is only seven minutes by car from the centre of Wolfsburg, but miles away from the inner-city hustle and bustle. Enjoy your breakfast in the midst of the village idyll Nordsteimke with a view of our orchard of apple trees in the manor garden. Or enjoy a sundowner on your balcony or the beautiful garden terrace after a busy day or work. Beautiful and challenging jogging routes with field and forest paths around the manor lie right at the feet of ambitious runners and walkers. Furnished with a high-quality interior décor featuring well-known brands and designers, 49 elegantly arranged apartments with the size of 30 to 60 square metres promise first-class living and quality of life. They all have their own kitchen or kitchenette, a bedroom as well as a comfortable living and working area. High-speed Internet and international satellite TV with eight Sky channels are available in the rooms. Almost all of our apartments have a balcony or their own terrace. In the courtyard garden there are comfortable seating areas and loungers in a fantastic setting. And in the converted old courtyard smithy you can burn off energy on modern sports equipment or relax and leave your cares behind in the sauna.